Early 1960s production photo of Les Schtroumpfs. In 1961, Belgian production studio TVA Dupuis made a TV series starring The Smurfs called Les Schtroumpfs which is also the first animated appearance of The Smurfs. The series had a total of 9 episodes aired between 1961-1967 which aired on RTB (Radio Télévision Belge de la Communauté Française). 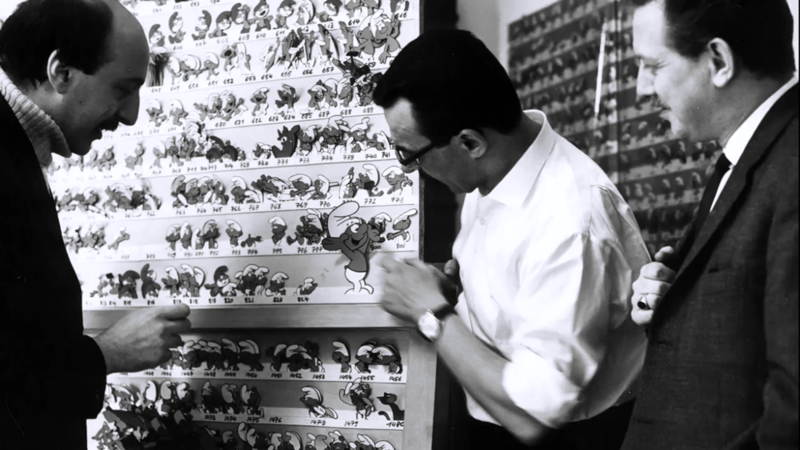 In 1965, the first animated feature film starring the Smurfs was made called Les Aventures des Schtroumpfs which selected 5 out of the 9 episodes. Some of the episodes were made in color but faded over time. Currently, some of the episodes can currently be seen at Belgian Comic Strip Center in Brussels, Belgium. In 1969, TV Dupuis made a TV special starring The Smurfs which adapted Peyo's comic La Schtroumpfette (The Smurfette in English). While not that much is know about the TV special. The special is also Smurfette's first animated appearance before the 1981 Hannah-Barbera series. Unlike the 1961 series, no existing screenshots of the 1969 TV special exists. 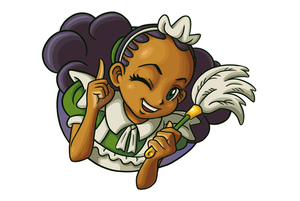 Due to very little information about the special's history. It eventually became the most obscure adaptation of Peyo's work and forgotten in Belgium.